Our last article gave you a brief introduction to the learning curve for the average driver through the different stages of HPDE (High Performance Driving Event). As promised, this month’s article will give you a little more detailed tutorial on the basics of driving on the road course. Keep in mind that since this Project NASA PT car is an NX2000, the information given here pertains primarily to FWD vehicles, the typical drivetrain of many compact racing cars. Follow Annie's travels in the world of Motorsports here! Since every track is different, and every track has their own exceptions, we will be using Willow Springs Raceway’s Big Willow track for all examples. 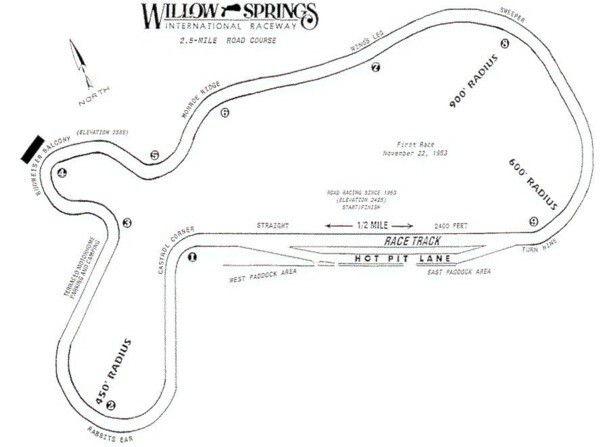 Willow Springs is a fun track, with 9 medium to long radius turns and lots of cool elevation changes. It is not too hard to drive but it's high speeds can be intimidating to the beginner driver. First tip, go slow until you get used to things and add speed slowly! This track was chosen mainly because it is a high speed course that isn’t too technical, but still provides you with enough simple curves to practice technical driving techniques, which will ultimately prepare you for the more difficult road courses. Big Willow has nine turns, each numbered consecutively through the track, starting with the 1st turn being the one after the main straightaway. In road racer’s jargon, people will refer to this turn as turn one, the second turn as turn two, and so forth. Know these turn numbers, as they will come in handy when someone is trying to give you advice for a particular area of the track. When someone tells you “you should be flat out from turn six through turn nine”, it’d be handy to know where the hell they’re talking about. So now that we’ve gotten that little detail out of the way, lets get started, shall we? 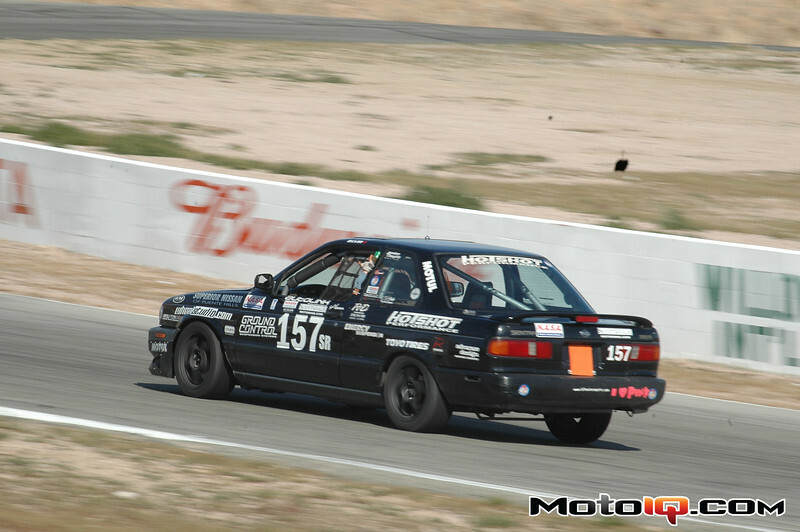 In one of my first races at Willow Springs, I drove this Sentra SE-R.
Fastbrakes Announces New Low Priced AP Racing Big Brake Kits!